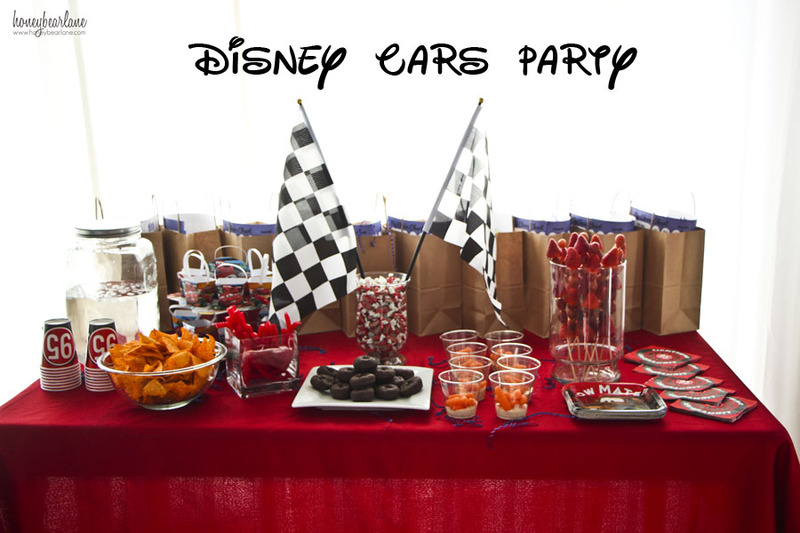 I got to host a Disney Side Cars party last month for my four-year-old and some of his friends and it was so cute and fun. I was sent a huge box of party supplies (and for the life of me I can’t find that pic) but it was chock-full of awesome stuff. 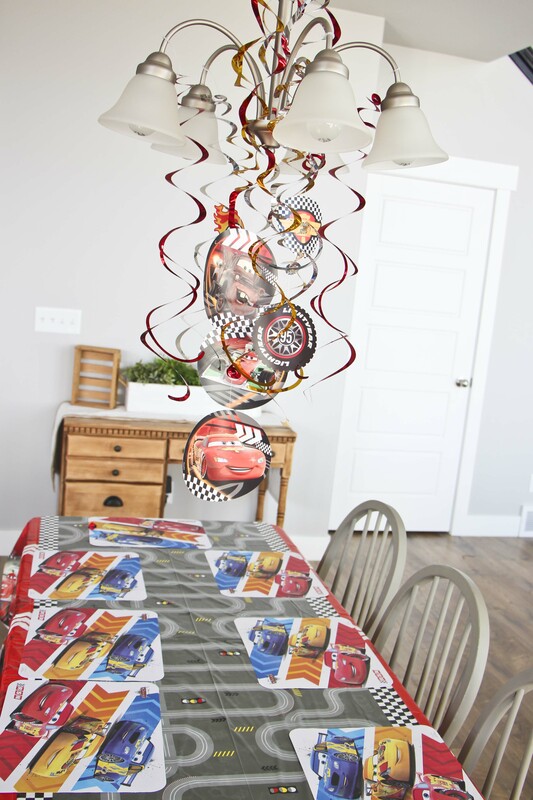 Everything Cars related and Mickey Mouse and just swag, baby. Disney Side parties are easy to host. 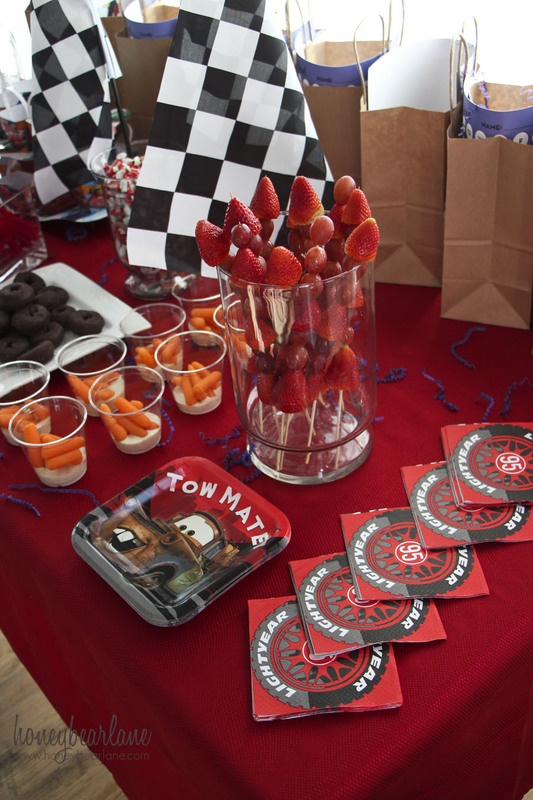 The kits come with invitations, decorations, games, party favors. Everything but the food. For the food, I always try to have a balance of junk food and healthy food. And even though most of the healthy food gets avoided, at least I feel better about offering something good. 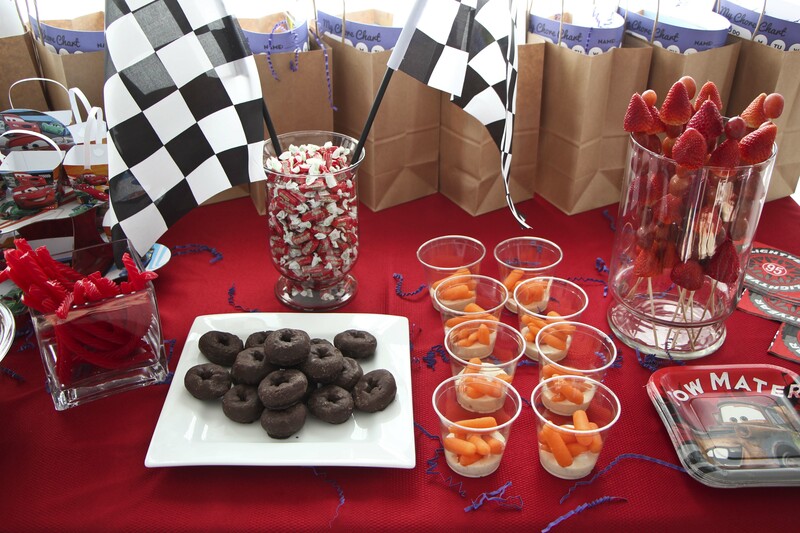 My go-tos for kids party food: cookies or mini-donuts (the donuts worked well because they are like little tires), fruit kabobs, chips, pretzels, mini-carrots in a ranch dip, and of course, Frooties. We start off by letting the kids stuff their faces as much as they want. 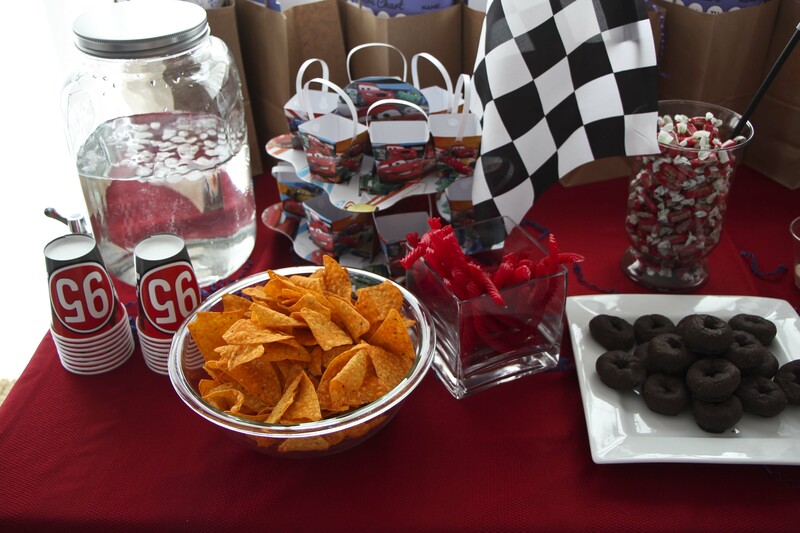 I’ve learned that with kids parties it’s always best to not be super structured and always start with food. Otherwise you’re swatting kids away from food until it’s ‘time’ and then you become THAT mom. After they eat, I let them go upstairs and play with toys for however long they wanted. Eventually they came back downstairs and were wondering what was next. This is the perfect opportunity for the structured games, which were easy to play. 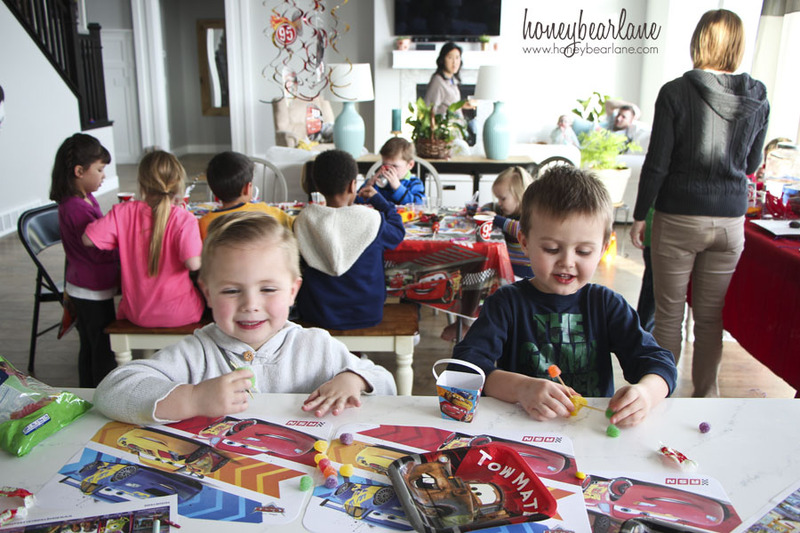 We played Bingo and pin the ‘smile’ on the Mickey and then built candy cars out of gumdrops and toothpicks. Easy and fun for these little kids. This party went really well, and I’ve thrown several kid parties this year. I had the perfect number of kids there (around 10) and plenty of adults around to help out, it was low-key and the kids were mostly free to do what they wanted. Easy activities, easy food, easy games. 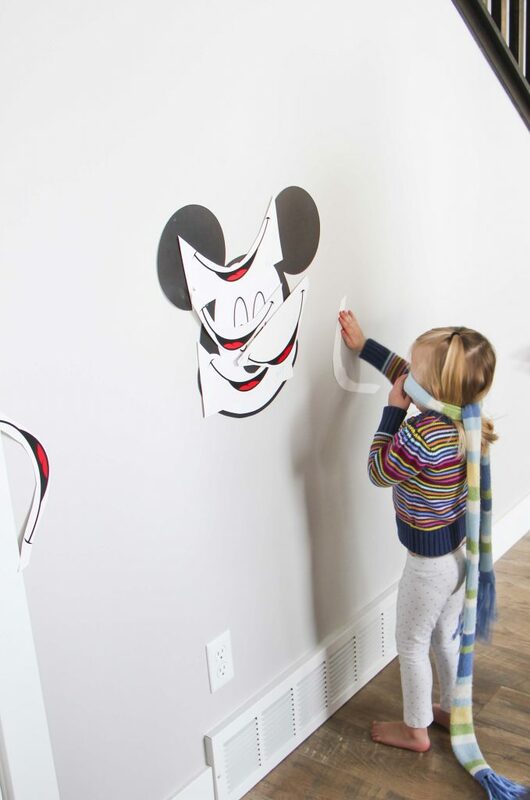 And such a great way for everyone to show their ‘Disney Side’! This post was sponsored by Disney, all opinions are my own.